Ok guys, here is one I promise you will want to run out and get! And as soon as you finish reading this article! 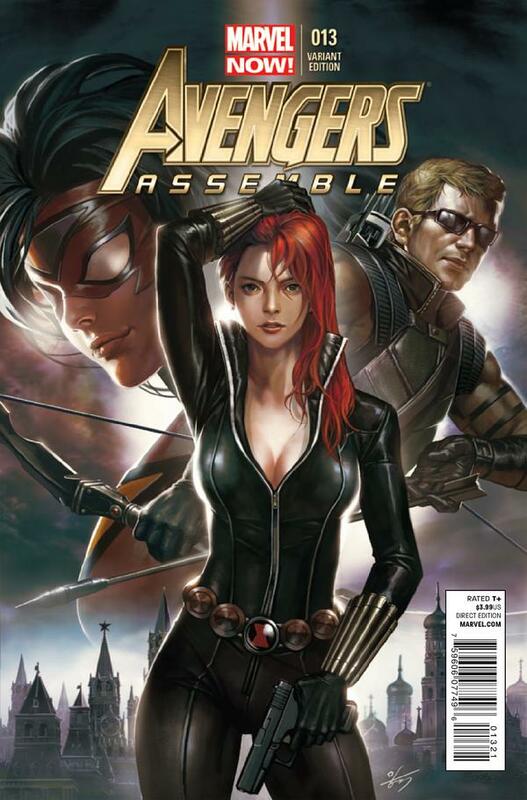 This is the Avengers Assemble #13, 1:50 variant by In-Hyuk Lee! Awesome Black Widow cover! And it never hurts to have Spider-Woman and Hawkeye there also! This was from the series that was created when the first Avengers movie came out. It first included all the characters who were in the movie. It ran 25 issues and was a pretty good read, IMHO. Now we get to the good part. Right now, these will not bankrupt you. They are at some on-line shops for anywhere between $10 and $40. But the thing is, I am not sure if these will last long. The original print run of #13 was 28,400. With this being a 1:50 that means there are only about 500 of these in existence. If Black Widow ever gets her own movie, and there have been rumors and rumblings about it, this one may really take off. Don’t just sit there! Go! Why would this take off? I see no reason to take a chance unless you have $20’s falling out your bottom! I like the rarity numbers, but rarity doesn’t always turn into big dollar signs. Nice book though. I’ d pick it up for about $10-15 smacks. Anything more, would not be a smart investment risk imo…..